It may be aged to the degree of being completely deteriorated; or, it could be a classic that needs restoring. Classic or end of its life with no apparent Eagle Car Removals will buy it. We are old car buyers in Brisbane, the Gold Coast, and the Sunshine Coast that pays cash for old cars. Our cash payments reach up to $9,999. Contact us for a quote. Old and unwanted? Aged and deteriorated? Not enough value in the car to be worth its cost of repairs? Maybe you’d like a quick sale for your classic or antique. Eagle Car Removals buys old cars of every make and condition, putting up to $9,999 cash in the hands of old car owners. Some old cars can be repaired and restored. Eagle Car Removals is that old car buyer that will buy your old car that has traditional or antique value for up to $9,999 cash. Some old cars have nothing left, but they recycle value. For old cars that have reached the end of their lives, we buy cars to recycle. Some old cars have parts under the hood that can be reconditioned. We will buy old cars for parts that our mechanics can recondition to resell for hard to find quality used parts. Eagle is a Car Removal Company in Brisbane, the Gold Coast, and the Sunshine Coast That Pays Cash for Auto Removals. We don’t expect our customers to bring their cars to us. We come to them to buy & remove their scrap cars. 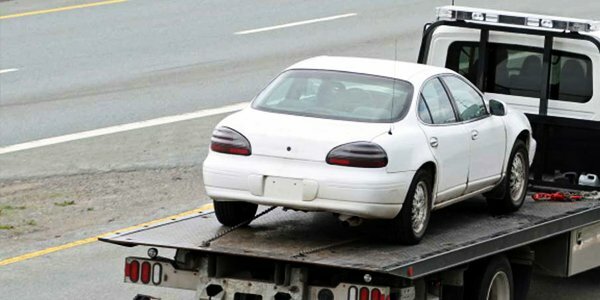 Our towing services are courtesy services in Brisbane, the Gold Coast, and the Sunshine Coast for all car owners that are selling their scrap cars to us. Schedule a free scrap car removal Brisbane at a time convenient for you. Call us for a quote! Provides instant cash quotes – obtain a quote for your scrap car by contacting our representatives. Makes high cash payouts on the spot – we pay our customers at the time we remove their cars. Offers free car removals in Brisbane – our courtesy removals are always provided for free. Provides eco-friendly car recycling – scrap cars yield high dollars at Eagle Car Removals as we are eco-friendly car recyclers. We do all the tedious and heavy work like removing and recycling your car while you count your cash. With Eagle Car Removals, you have a selling experience that is second to none. To receive a non-obligational quote from Eagle Car Removals contact us at the number below. Quotes are also provided by our appraisers through our “Get a Quote” form at the top right of this page. At Eagle Car Removals, selling your car don’t waste your day. Accept or reject our cash quote for your scrap car. Schedule a free removal in Brisbane, the Gold Coast, the Sunshine Coast.